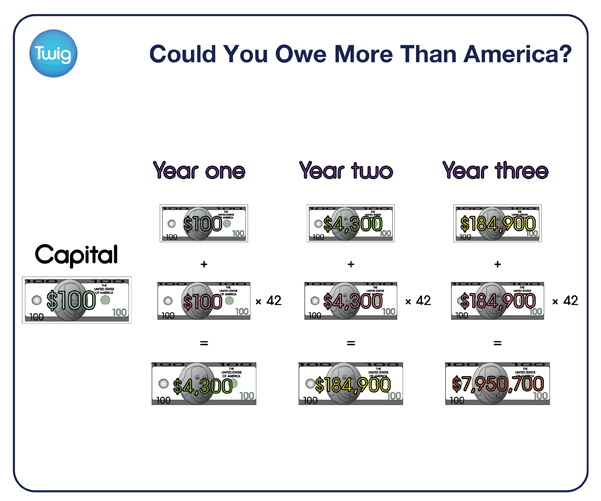 Could You Owe More Than America? If you're short on money, there are plenty of companies who are keen to give you quick loans. But because of compound interest, you could end up owing far more than you expected. Most loans charge an interest rate. This is an additional amount paid back on top of the capital, the money that is originally borrowed. The interest is usually a percentage of the capital amount, expressed as a yearly rate called the Annual Percentage Rate, or APR. In most cases, the interest is compounded – which means it is charged not only on the capital, but also on any interest that has already been added. So the interest can rapidly build up if the loan is not paid back quickly. In recent years, some companies have begun offering so-called short-term loans – some with incredibly high interest rates of over 4200%! This means that if you borrowed money, each year you would be liable to pay interest of 42 times the amount owed the previous year. These loans carry such high interest because they are intended to be paid back in just days or weeks and so incur high but manageable interest. But what would happen if you couldn't pay? 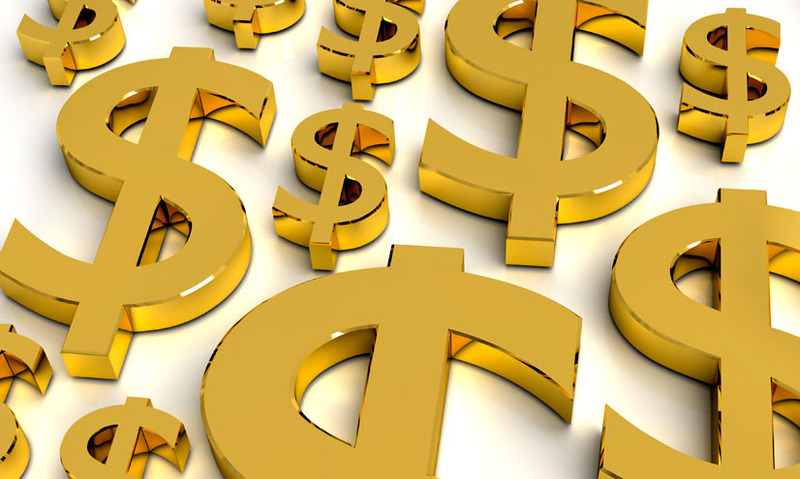 Borrow $100 and after the first year, you would have to pay the capital back, along with $4200 worth of interest, amounting to a total debt of $4300. By the end of year two you'd owe over $180,000. By year three, your $100 loan would now be a debt of nearly $8 million. And if you hadn't paid by year five, you would owe $14 billion. And by the end of year seven, your debt would be over $27 trillion. More than the national debt for all of the United States of America!